Wow, that's a lot of really great stuff! 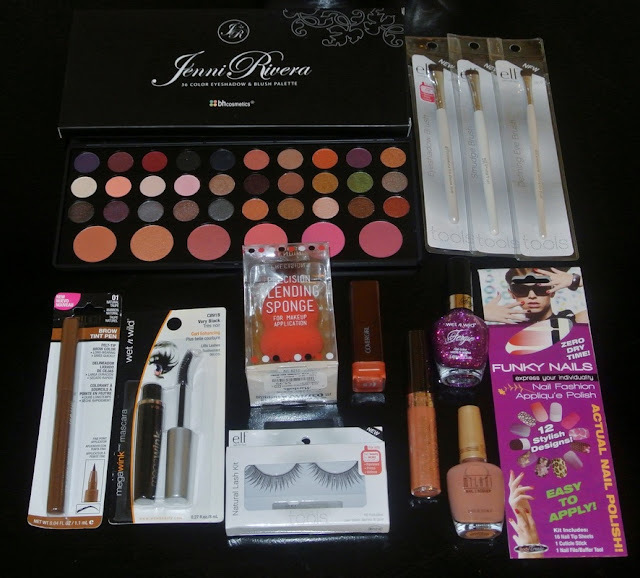 Awesome giveaway - I would lovvve the 36 color eyeshadow and blush palette! what a nice website it is! Specially your site templates is looking goods. I have two site Computer Tips|Hobby Electronics but it is not looking good as like you. I would love to try that sparkly pink nail polish! I want to try to faux eyelashes! I love those nail strips-- they're my favorite beauty product for quickly sprucing up a look! i would looove the palette! I am obsessed and would love to win that Jenni Rivera Palette! I am most excited about the Jenni Rivera BH Cosmetics 36 Color Eyeshadow & Blush Palette. Would love the Eyeshadow Palette. Thanks for the chance! i would love to try that blending sponge and lashes! ok...oops, just saw that i'm not able to enter.